Untoasted wholegrain oats with real apricot pieces, sultanas, almonds, coconut, and sunflower and pumpkin seeds. I don&apos;t really do breakfast, I&apos;m just not really hungry until around 10-10:30 but I&apos;m always happy to try something new and see if maybe, just maybe I can find something nice to eat and that doesn&apos;t make me feel bloated or put off finishing it. There&apos;s a really decent amount of product in this bag, but whilst it comes in a resealable bag I found that the bag tore rendering the reseal useless and I had to find a container to store it in. The great thing about this is that you get plenty of servings from it though I would be interested to know what the cost of this bag is. Flavor wise I would have been happy with more fruit but I did like the texture of this muesli compared to other brands on the market and it wasn&apos;t as gritty as others, though not great enough to have me yearning for more or breakfast. I decided to make this into porridge for the kids and I don&apos;t think I&apos;ve ever seen them gobble it down so quick, this is going to be perfect for winter mornings (again, cost dependant). I also used it once in my baking but it didn&apos;t add much to it, so should we buy this in the future I&apos;ll be using it for a nice warm breakfast to fill the kids up. 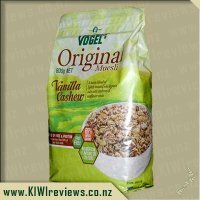 We are fans of Vogels bread range so we were excited to have their muesli to try. I must say that I enjoy toasted muesli more as a rule, but my husband prefers untoasted/natural. The first thing I liked about this muesli was the fact it was in a bag and I was really pleased to see it had a resealable top (no markings to say it had one, could only feel it). There was also no indication on where to cut, so I guessed where, and got it right. However the resealable thingee does not work correctly because of sides folding in and where it has been put in the bag, but this was quite minor as we sealed by using bag clip. 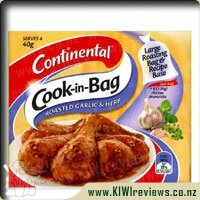 I would make a suggestion that Vogel&apos;s put the Made in NZ logo on the front of the bag to promote this more. I originally thought the bag should have had a see through bit to see the muesli, but I can understand why not now, as the colouring of the muesli (pale and floury looking) doesn&apos;t make it look very appetising. But, if you can get past the look, the taste does not disappoint. The muesli was very light and had lots of nice apricoty flavour. The pumpkin and sunflower seeds in the muesli were yummy and made the muesli have a great point of difference. 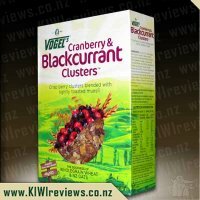 I have not seen this muesli on my supermarket shelves and this listing on KIWIreviews has no price listed, so it is hard to ascertain whether it is good value for money. However, Vogels has won my husband over, as he has asked me to buy it as soon as I see it arrive on the shelves! We ate this muesli just with milk and again with yoghurt on top - either way it was very tasty. My only regret was that my husband finished the bag so fast, there&apos;s none left to try making Apricot Anzac biscuits. I am a big muesli eater as it is my breakfast of choice and as I am not a big breakfast eater I need to eat something I enjoy to be able to have breakfast. Having tried and loved Vogels cafe style mueslis in the past I was keen to give this a try. It definitely had less bits of fruit than the cafe style varities but there was enough in there to keep me satisfied. I would of liked some more apricots as this chewy part is my favourite part of the whole muesli. In saying that there were plenty of nuts and seeds alongside the oats so you didn&apos;t get any boring spoonfuls you had a nice variety of flavours with each spoonful so it kept me interested in eating the whole bowl. 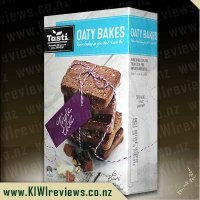 I found the oats were a good texture they weren&apos;t too chewy although you could easily heat them up and have a more porridge consistency if you like them a bit softer. I always serve my muesli with a bit of fruit or greek yoghurt rather than milk and this muesli went really well with the yoghurt so you got a creamy muesli although it would probably soften the oats better with a bit of milk. The bonus is my 3 year old has decided he now likes muesli after trying this as he has been a stickler for rice bubbles or porridge for about a year now so great to see him try something a bit different that still makes a nutritious filling breakfast to fill him up before a day at kindy. What I liked about this package was that it had a resealable band at the top of the packet so you could store the muesli in it&apos;s original package and still keep it airtight sealed. I was a bit concerned about storage when the bag arrived as I am used to getting my muesli in a box so you can roll the top of the bag down and store it inside the box so I was pleasantly surprised to see the resealable band at the top of the package. 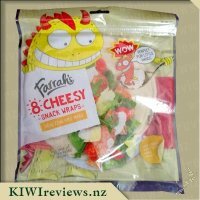 I would quite happily buy this packet again and at being a kg of muesli per packet it is good value for money and bigger package amount than the cafe style variety I normally buy. I will definitely be looking out for this on the shelf&apos;s next time I do my supermarket shopping. I was actually surprised as to how large the packet size was for this product. I was not expecting a whole kg of oats, but hey, less shopping trips! I checked out the packaging and noticed there were no recipes or directions for use, so I decided to just try it in the traditional ways. I could feel that the packet had a resealable part to it, but the top of the packaging needed to be cut off to access it. Being the lazy male that I am, and knowing that weevils take advantage of any slight opening, I just cut the entire top off and emptied it into a large plastic container with an airtight lid. The product did appear to be more processed than traditional oats, with less larger pieces (apart from the fruit). My first meal was just a simple porridge. A few tablespoons of oats with some soy milk (the joys of being lactose intolerant), and into the microwave for approximately 90 seconds. 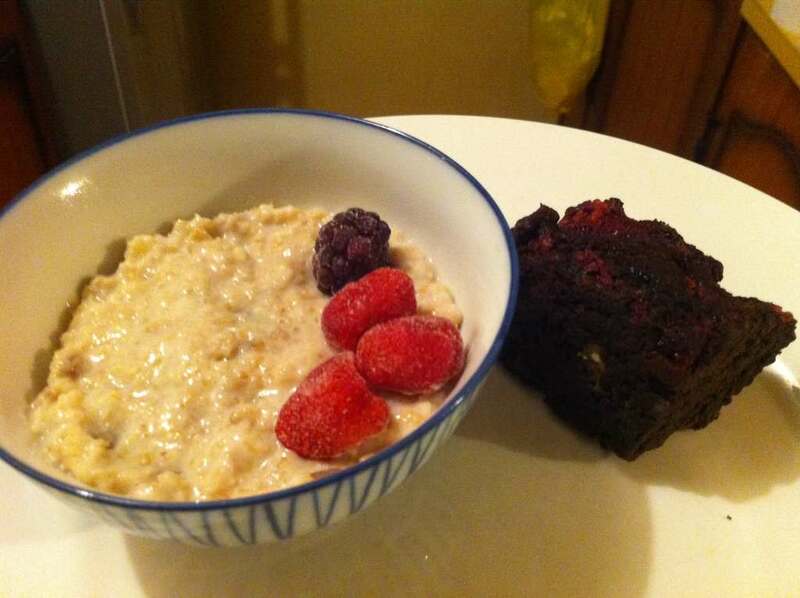 I added a couple of berries, and had a side of chocolate slice, in the event that the porridge needed it. The porridge came out a little bit dry as I had left it in the microwave for a little long, so I just added some extra soy milk to cream it up. The texture was agreeable, with no sharp bits, and was fairly consistent. The quantity of fruit pieces within the meal was rather low, but not significant as the nuts that were present had created a flavour that worked both with and without the fruit. I was honestly a little bit worried about the effect that the pumpkin seeds would have on the flavour, as I am not a fan of pumpkin (and I haven&apos;t ever felt the need to try the seeds), but there was no discernable flavours that I did not enjoy. I also used this product as a thickener for a smoothie, and it worked well to add substance to the meal replacement drink, and was not gritty, as many oats varieties can be. It will take me a while to use up the entire kilo of product, but it will certainly all go. The first thing I noticed about the bag was that it felt like it had a resealable band inside of the bag which really excited me. I hate my muesli boxes left open and instead transfer over to a tupperwear container. I could not figure out how to get into it though and had to use scissors to cut next to the seam. Tipping it into my bowl it looked like snow dropping, it seemed so light and almost floated into the bowl. At this point I have to admit I got a little bit worried. I knew the muesli was untoasted and all I could think of was porridge flakes. Images of uncooked muesli filled my head and I was dreading that first bite. I added my milk and it kinda clumped together and resealed the bag. Sitting down I looked at it and took a big bite. Delicious. I could not fault it - tasted way better than I thought it would. It reminded me a lot of Just Right except I like this much better. I am eating less than half a bowl for breakfast and that is doing me perfectly right up to lunch. Its not heavy or light which is so surprising. 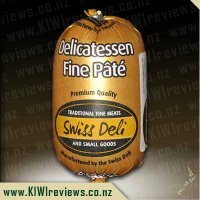 It does not have heaps of sultanas or apricots but what it does have combines beautifully. I have had it four mornings now and still have at least another two days worth in there which is great value. I have been selfish and not shared with the rest of the family. I have to admit I was concerned about eating sunflower and pumpkin seeds as they can be over powering in other meals that I have had it but with this it is fine as they have been cut down or something as they are not over bearing at all. My only complaint is the seal broke after day two and now I have a sealed pack with a big hole down the side of it. As for the taste I am really enjoying it. Reminds me a bit of porridge as not brown toasted museli but more white like oats but it works. 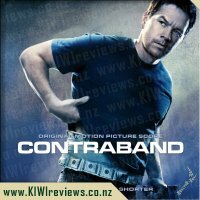 I am not sure of the price but if it is around the $8 region I will definitely be purchasing on a regular basis. 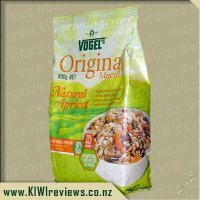 I love my muesli and love supporting New Zealand two main cereal producers but lately have been working my way through the Vogels range. I have been going through a bit of a Birchers muesli phase also so thought with this Natural Apricot original muesli that I could try that. I am not one to remember to make mine the night before often but decided to try this firstly with some almond milk I had and the next night with coconut milk. Both times I had underestimated the amount of milk needed and it was very lumpy and gluggy but tasted fine once I added more milk. 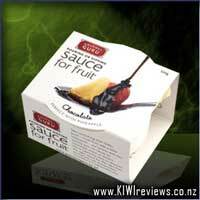 Then I tried it just as a muesli adding milk and yogurt and fresh fruit at breakfast. This was okay but the muesli wasn&apos;t really crunchy enough for my and tasted like it was a bit refined i.e that the oats were powdery. Then I tried it as porridge adding milk and heating in the microwave. This required a bit of refining also with adding enough liquid but was probably my favourite way of eating this. 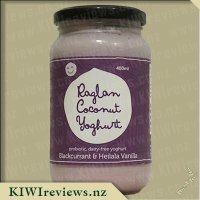 I would, if I purchased this again, use it instead of porridge oats for breakfast as it made for a really nice porridge with some added nutrients of the sunflower seeds etc. I think it would also work well as an oat base in loaves, cakes and biscuits. If you like plain muesli or want something a bit different for a warm winter porridge then I can definitely recommend this as worth trying. 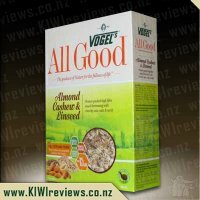 I love muesli and also love trying new muesli so was keen to give this a go. I loved how it came in a larger packet (not box). Although I am more of a fan of toasted muesli I thought that I would give this one a go as recently I have been buying untoasted and getting a taste for it. On opening the packet I was really disappointed in the look of this muesli. It looked very pale in colour but also very floury. I put it into my breakfast plate with a bit of milk and it really didn&apos;t look appetising. There was a few bits of apricots through it but not enough to give any colour. 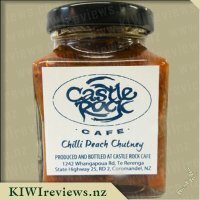 On tasting this it was not a consistency that I like, however the apricot flavour was there. The next morning I decided that I would try this microwaved as over winter months that is quite often what I will do with a muesli just to add variety. I also thought that this would probably work better as a porridge as consistency is very much like a fine oat. This was eatable but really not to my liking. 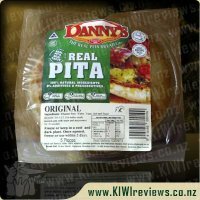 Overall I was quite disappointed with this product, knowing that there are plenty of other brands that have the same nutritional value on the market that have a more appealing consistency to it I will probably not be purchasing this product again. My breakfast cereal of choice for everyday is muesli. I just love having that mix of grains and dried fruit and seeds. But I tend to eat toasted muesli over the more natural style that this Natural Apricot is. While it was a bit less sweet than I usually go for, it still had a good flavour. The apricot flavour really popped in every mouthful, and in a sweet rather than tangy/tart way. Plus this had coconut, and sunflower and pumpkin seeds which are some of my favourites. They really added a lovely creamy nutty taste to the rest of the cereal. What was also neat about this muesli was, that you can have it hot or cold. Into a bowl, I put some of this Natural Apricot muesli and mixed in milk. Then I microwaved he cereal for about 2 minutes. It made a great and colourful porridge! I added some yoghurt one day, and some slices of banana another day. It was great. 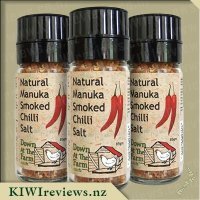 I really recommend having this hot. Lastly, my daughter and I had some fun in the kitchen making ANZAC cookies the other day. Instead of rolled oats, we subbed in the Natural Apricot muesli. The cookies came out wonderful, and were slightly chewy. Even though my kids don&apos;t like muesli or muesli bars, they ate these cookies. Every cookie had that wonderful apricot smell and taste. I&apos;d happily buy this again, especially coming into winter. I think it&apos;s a great and versatile muesli. It looks great in the bowl, really appealing flavour. It&apos;s probably better for me than the toasted stuff too. The pack is a bit bigger than my normal Vogel&apos;s cereal I buy, which is a factor for me too. I also liked the pack because it was a bag, but it was resealable. 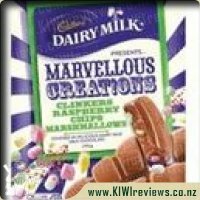 Cadbury marvellous creations chocolate block clinkers raspberry chips & marshmallow.